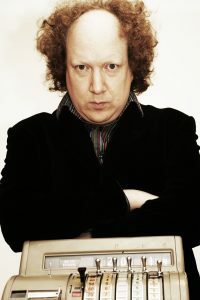 Zaltzman takes “Satirist for Hire” on the road, addressing audience queries, complaints, demands, and general gripes in his unique satirical stand-up show. Are you exasperated by economics, piqued by politics, or wound up about the world? Then this is your chance to have the issues you care about satirized to order by one of Britain’s leading political comedians, who will deliver freshly-hewn, individually-tailored comedic responses to your big issues. You are invited to email your satirico-query to satir[email protected], including the date of the show you’ll be attending, plus details of the issue/person/concept/thing you would like addressed. All issues considered (within reason), whether political, social, or miscellaneous, and whether global, national, local, or intensely personal. Previous issues requested have ranged from British democracy, to Syria, the lyrics of Carly Rae Jepsen, mental health provision in the age of austerity, the concept of hope, all the way to criminal justice, and Pokemon. Zaltzman is half of the global smash hit podcast, The Bugle, alongside John Oliver, and is the star of 5 Live’s 7 Day Sunday/Saturday. This show will be performed in 3D.